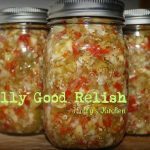 This is the best relish recipe you will find on the internet!! So delicious, can be enjoyed on so many foods! I use a food processor to finely chop everything up. In a large glass or stainless steel bowl, combine cucumbers, peppers, celery, onion and salt. Cover and let sit for 4 hours in a cool place, then transfer to a colander and drain. Rinse well with cool water and drain thoroughly, using your hands squeeze out the excess liquid. In a large stainless steel saucepan, combine vinegar, sugar, celery and mustard seeds. Stir well and bring to a boil over medium heat. Add drained cucumber mixture and return to a boil, be sure to stir frequently. Reduce heat and boil gently for 10 min. 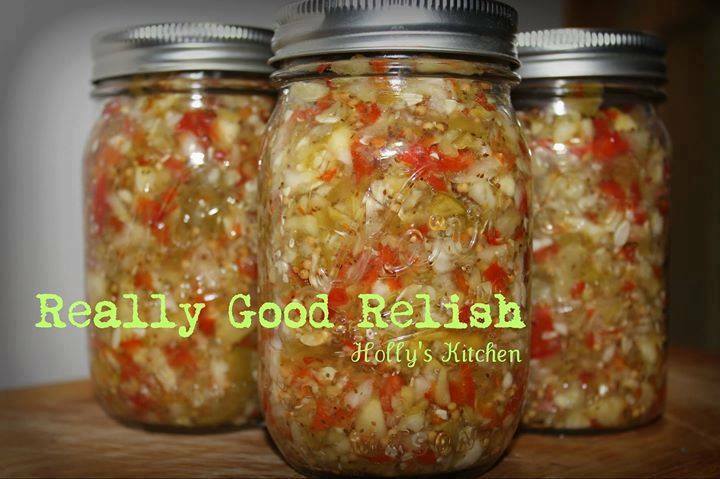 Place your lids on jars and place in canner be sure they are covered completely with water and boil for 10 minutes. Remove canner lid, wait 5 minutes, remove jars then cool and store.